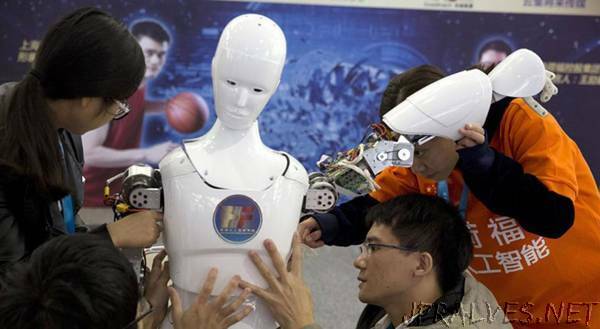 “A 1.21-meter tall, 29 kg white robot will become a TV anchor of Nanning, capital of southwest China’s Guangxi Zhuang Autonomous Region, Nanning TV said. The robot named “Chao Neng Xiao Bai” will host a new media program, interacting with another anchor to search for and analyse data. “Chao Neng Xiao Bai” can perform for eight to 12 hours on a single four-hour charge. It can talk and dance with people.